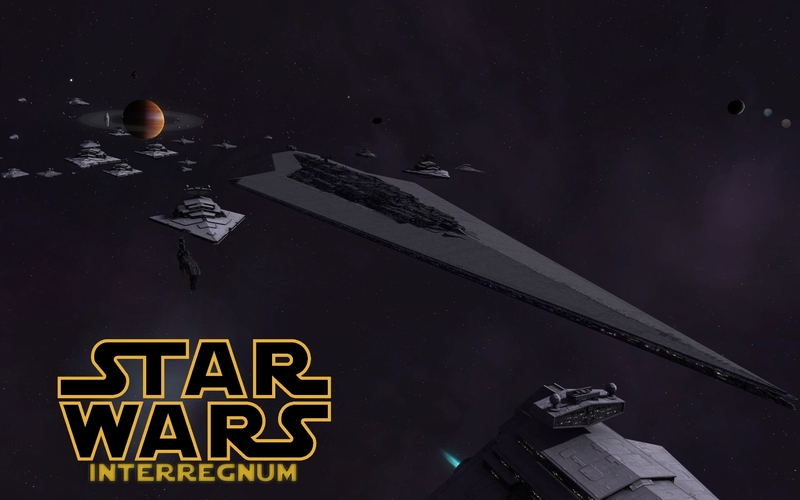 Star Wars: Interregnum is an upcoming mod for Sins of a Solar Empire: Rebellion that builds off of the highly successful Enhanced 4X Mod. Fleeing the unknown terror that is chasing the Vasari, the factions of Sins of a Solar Empire stumble on a temporary wormhole that takes them to a galaxy far, far away. The sudden arrival of armadas with trillions of refugees and thousands of warships between the events of Episodes 5 & 6 forever alters the Star Wars universe and plunges the galaxy into an unprecedented period of chaos and violence. The Galactic Empire is the remains of Palpatine's Empire now headed by Darth Vader, and enjoys a powerful industrial base and perhaps the most powerful fleet of all factions. However Vader's poor political skills and the feeling that the Empire is being crushed from all sides has left the Empire with extremely poor morale, and further defeats may start damaging the Empire's war effort. The Imperial Warlords are an umbrella faction that represents the various Empire factions that have operational independence, whether they've gone Rogue to serve their own agenda or are acting under orders in special circumstances. While lacking the legitimacy and infrastructure of the Galactic Empire, this has forced the warlords to use their forces more wisely than the sometimes brutish Imperial war machine. And the Emperor's fondness for conducting research in remote locations, along with Vader lack of interest in major R&D projects has allowed the Warlords to get access to many powerful technologies that might more than make up for their shortcomings. The player will also be able to choose to ally with one of the Major warlords for additional bonuses, mainly Grand Admiral Thrawn, Grand Moff Ardus Kaine, Warlord Zsinj, and Director Yasanne Isard. The Rebel Alliance is the original military branch of the Alliance to Restore the Republic and continues to fight the Empire much as it did in the Galactic Civil war. Preferring hit and run attacks and strikecraft superiority along with some innovative and dirty tricks, the Rebels are one of the most unique factions and are extremely difficult to stamp out. The New Republic (unreleased) was created by Rebel sympathizing planets after the Empire was forced to abandoned the Outer Rim following the emergence of the Sins races. Fearing that the Rebels would not be strong enough to protect them if the Empire tried to conquer them again, the New Republic has decided to create its own conventional armed forces from scratch. While this focus on new institutions leaves the New Republic vulnerable and disinclined to attack early on, once it gets going its powerful new warship designs along with its substantial economic and cultural strengths make the New Republic an extremely competent and well rounded faction with few weaknesses. Hero Units: Both Sins and Star Wars factions can call in their most powerful champions to turn the tide of battle. New Planets and Random Encounters: Truly Explore the Galaxy far, far away with an expanded array of planet types, some of which will be populated with everything from Rogue Imperial Moffs to abandoned Republic era fleets to Mandalorian raiders. Improved Civics, Economy, Diplomacy and Espionage: Don't feel like just blasting your opponent? The Enhanced 4X substantially fleshes out the noncombat side of Gameplay with things like improved culture, embassies and spying. Upgrades to existing factions: Players totally new to the Enhanced 4X series of mods will find the familiar Vanilla races they know have all gotten an upgraded. All factions of received new techs, faction and racial bonuses, new starting units and other alterations that encourages more diverse gameplay. With the third alpha release, the Rebel Alliance has been added, meaning this mod can now be used to relive the Galactic Civil War as well as the current war with the Sins factions. 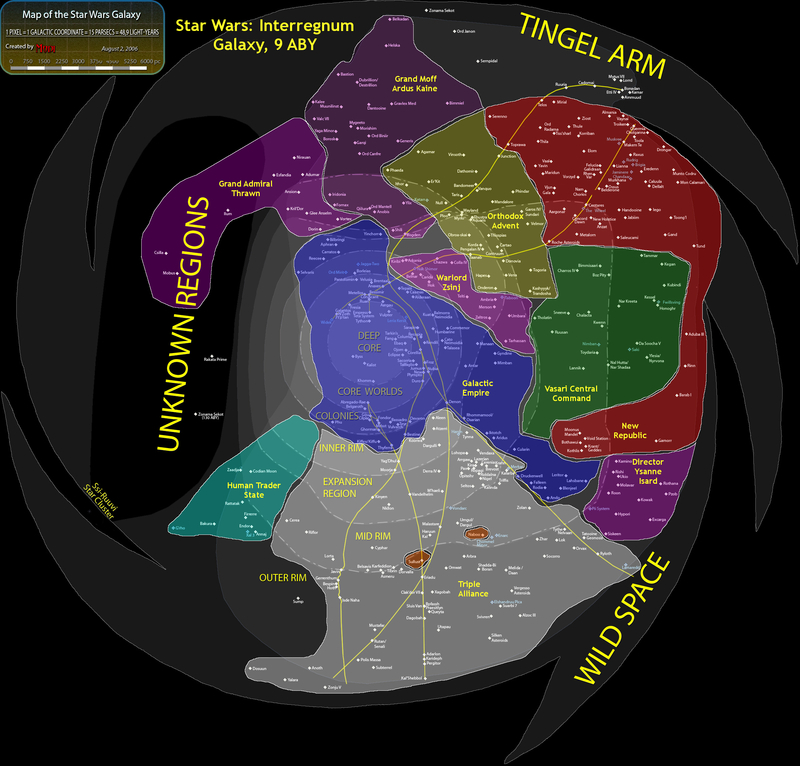 The militia and pirates have also been replaced with Star Wars versions; now the vast majority of material on the game map is clearly from a galaxy far, far away. Did anyone else hear the Star Wars theme song while reading the Opening Scroll Version 1? I'm happy for you GoaFan it looks like you really developed an idea that combined your passions. And because I'm going to get to play this too. And yes, once I take the time to make that intro a bit more cogent I plan to make a custom mod intro video with the Star Wars theme and a proper opening scroll. I'm going to force myself to put up screenshots at least once a week to keep me motivated. Here's one of the last major UI things that needed to be done, loading screens. I know its not as interesting as in game screenshots, but I'm currently about half way done with capitalships abilities and those don't lend themselves to screenshots very well. Are you planning on changing the base E4X factions any or just adding in the star wars factions? A few of the base factions have indeed been changed somewhat by their migration to the Star Wars universe, and will thus have some new toys to play with. The priority right now however is simply getting the Star Wars factions done. Interregnum now has a moddb page, I may be giving some more detailed information on their from time to time. Such as this. How's is Isard even alive between the Triple and NR. Since there wasn't much mention of her within your premise. Getting help from the Empire? Well she does have her own personal Super Star Destroyer, that tends to make taking a corner of the Galaxy for yourself much easier. Isard's role in this will be fleshed out more once the Imperial Warlords faction is released, where she will be one of the Warlords the player may choose to ally with. But she along with Zsinj and Ardus Kaine were basically favorites of Palpatine who did not like the fact that Vader was now running the Empire for different reasons. Isard even attempted a coup against Vader when he replaced her as Director of Imperial Intelligence, and when that failed she was forced to take the Lusankya and flee to the Outer Rim, which was still very chaotic as this was soon after the Empire was forced to abandon all the Outer Rim worlds the Triple Alliance had not already taken. With her access to all the Imperial archives, she made sure to get the relatively unknown but important worlds of Kamino, Rothana and Hypori, still with their considerable Clone Wars era production facilities. But as for why the Triple Alliance and the New Republic have not destroyed her yet, essentially both see the Empire as the main threat and believe the renegade Imperials will be easy to mop up once it has fallen. Also neither really understand that she controls just the right planets to produce a substantial military force in time. She has thus not bothered them too much, mostly using her expertise in Espionage to ensure the political leadership of these factions are kept busy with other affairs. The Empire on the other hand would rather Isard keep her territory than the New Republic get a hold of them, and in any case they are too overstretched at the moment to deal with her as it is. Rothana is notable not only as it has Clone Wars era facilities, but GCW era facilities, having been used by their parent KDY to produce things such as the Eye of Palpatine. Indeed, but as this mod won't have the Eye of Palpatine in it I didn't want to highlight that part. To say the least its a great planet to have. If you want, I have made a model from the Eye of Palpatine and probably I will convert it to SOASE. Thanks for the offer, but at this point I don't want to commit to adding anything but the basics. Once the core of all the factions are complete I'll consider adding some of the more unique ships and superweapons if there is still space in the mod for them. I'll consider adding some of the more unique ships and superweapons if there is still space in the mod for them. I´m sure that you will find space, at this moment I do not know if there is a limit. Just it is a matter of imagination and how they can be added to the game for the human and the IA player. Oh there most definitely is a limit, I would be truly surprised if Sins can handle 10 factions without everyone lowering texture quality settings a bit. But that's an issue to be dealt with later. It can be a good point but I was speaking more about the limit from units per side where you can not add more than 9 units builded at each shipyard option and 1 at titan. Many non builded units can be added by different ways. Ah, no I know how to deal with that, its the RAM and other technical limits of the engine that are the problem. Adding too much stuff will eventually lead to some sort of performance issue or crashes. And as this is not a total conversion I have a lot less room than say SoGE has. Here's the first of the Interregnum "Manual" entries I'm writing on Moddb, starting with what will probably every Imperial commander's first capitalship. 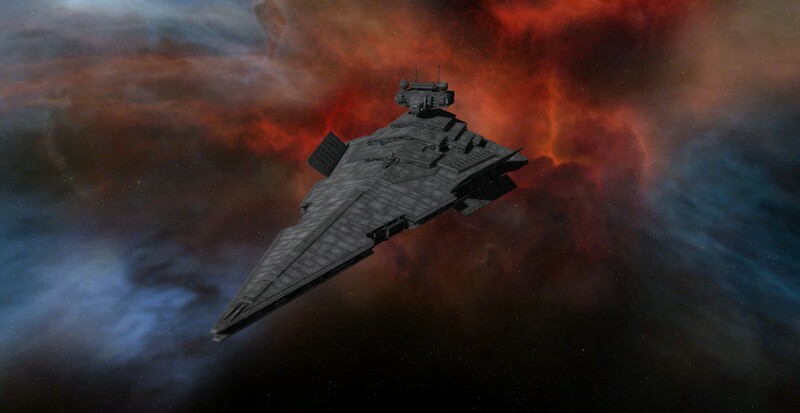 In-Game Description: A smaller Star Destroyer design capable of atmospheric operations, the Victory class Star Destroyer has been made obsolete in space combat, but still serves as a useful planetary assault and garrison ship. 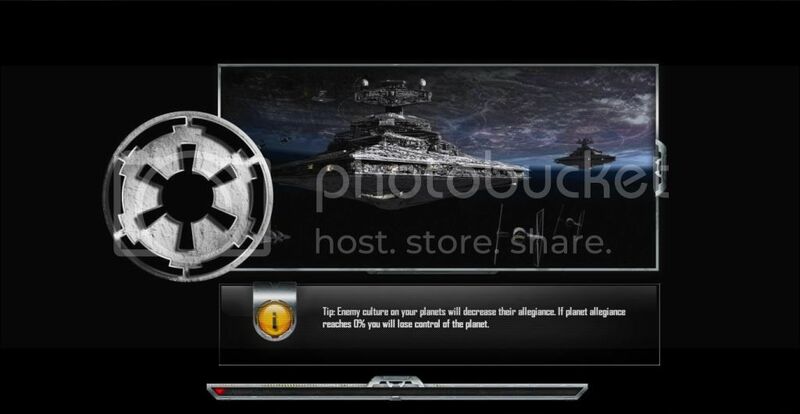 Establish Garrison: The Victory Star Destroyer sends a landing party and a prefabricated garrison base down to the planet via Sentinel landing craft, bring the planet under your control. The garrison also constructs resource extractors and increases the planet's maximum hit points. Bombardment Leader: The experienced gunnery crews and specialized targeting computers on this vessel allow it to better direct planetary bombardment, increasing the damage dealt by allies to enemy planets while the Star Destroyer is in the gravity well. Boron Missile Strike: Fires a salvo of powerful long range Boron missiles modified to deal maximum damage to orbital structures and starbases while reducing their armor. Landing Force: Deploys several Sentinel Landing Craft to land Stormtroopers on an enemy planet to destroy key planetary infrastructure, dealing substantial damage to the planet and slowing ship and planet upgrade construction. Analysis: The Wars of Interregnum have forced the Imperial Navy to become increasingly specialized, and no warship better shows this than the original Victory class. While the extra-galactic invader's preference for orbital bombardment has caused most Imperial Warships to carry few if any ground forces, the Victory class has been retooled into all in one planetary assault ships. As one of the few Imperial capitalships available at the start, its ability to establish new bases makes the Victory class the go to first capitalship for Imperial commanders. Its outdated engines and weapons means it will lose to other capitalships in a space battle, but the Victory class' atmospheric flight capabilities and missile tubes make it adept at clearing gravity wells of enemy structures and then bombing the defenseless planet. It can also deploy ground forces to speed this task along while halting enemy production, and of course once the planet surrenders it can establish a new garrison straight away. Also worth mentioning is that while the Victory class does not carry the more advanced TIE Fighters that other Star Destroyers do, it is the only Imperial ship that deployed TIE Bombers with Proton Bombs, which deal extra damage to space stations and starbases, further helping the Victory class clear enemy gravity wells. I think that even if the planet does surrender I will keep bombing them until there is nothing left but a broken memory. You see this is how it starts. A seemingly normal non-violent person is given a massive ship and proceeds to wreak havoc on the innocent children of the stars. Holy crap looking forward to this! Yeah I never post but, this was just too exciting. Really looking forward to this GoaFan77. I love E4X and just about anything based in the original Star Wars Trilogy. This is going to be the bomb. Are you finding too little Durantium on your maps?